THIS WEEK’S OTHER FEATURED BOOKS, “THE SHOW HOUSE,” BY DAN LOPEZ AND “ANYTHING THAT BURNS YOU,” BY TERESE SVOBODA, CAN BE FOUND BY SCROLLING DOWN BELOW THIS POST, OR BY CLICKING THE AUTHOR’S NAME ON OUR AUTHORS PAGE. THE PUBLISHER: Plain View Press. Plain View Press is a 40-year-old issue-based literary publishing house, in Austin, Texas, of contemporary literature — poetry, fiction, memoir, and nonfiction. SUMMARY: Layla is the story of a young woman who embarks on a life-changing cross-country trip to face a family secret rooted in America’s most turbulent decade. Layla James, a recent graduate and budding photographer, has never known anything about her father except that he named her for the iconic song by Eric Clapton. Her mother—steeped in a political activism that Layla rejects—kept their past shrouded in secrecy. When she dies of cancer, just as Layla is graduating from college, she leaves behind an enigmatic letter, the first in a series that will lead Layla through a cross-country network of ’60s radicals and closer to the bombshell at the heart of her parents’ past. As Layla makes her way to various stops in the Northeast, San Francisco, and to a commune in the California desert, she discovers more about friendship, love, forgiveness, and the personal repercussions of political activism than she could ever have imagined. Something of a political mystery novel, Layla is at heart an intimate look at growing up, falling in love, and learning who to trust and what to value. THE BACK STORY: I became active in the anti-war movement at end of the 60s/early 70s, and it was a very intense time for me. As for so many, it was the defining period of my life. There was great societal upheaval. Everything was challenged: race relations, sexual relations, the legitimacy of the government. The period saw the assassinations of John Kennedy, Malcolm X, Martin Luther King Jr., and Robert Kennedy, police firing on students at Kent State, student strikes and sit-ins, protest marches, and the spread of a counterculture that espoused sexual freedom, anti-authority attitudes, and drug experimentation, accompanied by an explosion of rock music, as exemplified by the Woodstock Folk Festival. I’d long wanted to write a novel set in that very powerful and transformative time, but I feared I wouldn’t be capable of capturing it in an authentic way. And fiction with political themes can be especially tricky. I didn’t have a specific lens to tell a story through, either. Then I read a profile in The New Yorker magazine about Katherine Ann Powers, an antiwar radical who became a fugitive. I was fascinated by the secret life she led, as well as the deep psychological toll it took on her, and suddenly the story of Layla came to me—the voice of the character, and the opening words of the book. I worked on it for about four years, and then, through the back and forth with agents and editors, did several revisions that took another few years. WHY THIS TITLE? : The title is the name of the book’s narrator, who is named for the iconic Eric Clapton song that is emblematic of the period. Layla has grown up without ever knowing her father, so it especially meaningful to her that it was he who named her. WHY WOULD SOMEONE WANT TO READ IT? The repercussions of that period are still very relevant, especially in today’s political climate. And in recent years, in response to globalization, environmental degradation, the Iraq war, and the election of Donald Trump, there’s been an increase in activism among the young and a resurgence of interest in the earlier activist movements, and lessons that can be learned. I have found few works of fiction that captured what the texture and chaos of the 60s felt like to me, and there are also few I know of that explore political violence and its consequences in such personal terms. So the audience or niche for Layla would be young activists of today, as well as those interested in US history, those interested in politics and activism, those interested in the music, culture and politics of the ’60s/’70s, and of course the baby boomers who came of age in that period. More broadly the book is also very much a family story – about parent-child relationships, the kinds of decisions parents make to spare their children pain, and about unintended consequences. It also has something of a mystery/thriller aspect within the frame of a cross-country journey, so it might also appeal to readers of mysteries and those who enjoy travel writing. I loved this book. It starts with the engaging premise, what if everything you knew about your parents was a lie? In order to discover the truth, Layla begins a road trip crafted by her deceased mother. The book is at once a mystery/thriller and a thoughtful and heartfelt examination of familial relationships; what the characters would do to protect the ones they love. Set against a background of the idealism and hope of the sixties through today, the author provides a face and the consequences of where our principles can take us. Well-crafted, intelligent and beautifully written, I look forward to more work from this writer. Layla as a can’t-put-it-down plot, like a good mystery. You want to know what happens next. But what moved me most was the relationship between Layla and her mother — perhaps because in some ways it mirrored my own. It hit home. Layla’s slow understanding –she resisted every new revelation — and her painful maturing was as fascinating as the plot. I passed it along to a friend. “A wrenching look at the human costs of activism and the resiliency of love.” –HELEN SCHULMAN, author of A Day at the Beach. AUTHOR PROFILE: I grew up in a working class neighborhood in Queens, New York, and lost my father at a very young age. Reading became a refuge for me. I also started writing fiction very young, but in my world, wanting to be a writer was something seen as impractical, if not grandiose, so I essentially kept it secret (I only “confessed” to my future husband the day I moved in with him!). In college I was swept up in the antiwar movement and became a political science major. These two threads – the writing and the activism – have stayed with me ever since, and inform each other. After graduation I went to California to work with the United Farmworkers Union on a lettuce boycott, then came back to Queens as a Vista volunteer – we did tenant organizing and helped set up a food co-op and daycare center. But my love of writing and reading was ever present, so I decided to look for work in publishing. I got my first position as an editorial assistant working on textbooks. I loved putting together and editing books, and made publishing my career. Finally, though, I took the plunge, went back to school for an MA in Creative Writing, and began sending out short fiction and slowly getting stories published in literary magazines. 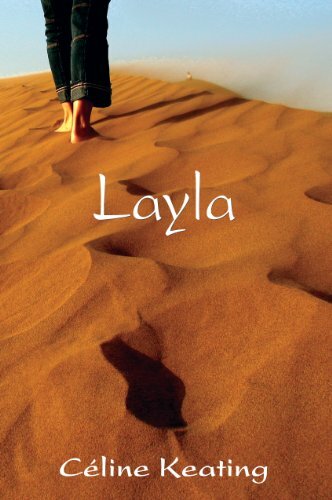 I wrote several novels, searched for and was lucky to find literary agents to represent my work, and finally, in 2011, my first novel, Layla, was published. Play for Me, which was a finalist in several contests, came out in 2015 from She Writes Press. For the past several decades I’ve served on the board of Concerned Citizens of Montauk a community/environmental organization. I’m also currently on the board of the New York chapter of the Women’s National Book Association. In 2016 I co-edited On Montauk, a Literary Celebration, an anthology of poetry, fiction, and essay about this small town at the tip of Long Island, which is under threat of overdevelopment and also sea level rise and erosion. It was really fun to gather the material, work with the authors, and produce this lovely book, whose profits go to local educational programs. Currently I’m hard at work on a novel that is set in Montauk. AUTHOR COMMENTS: My hope is that the themes of Layla will resonate not only with the idealists of the ’60s and ’70s, as well as anyone interested in reading about the lives of activists and radicals. But I especially hope that it will resonate with younger people, those who are searching for or discovering their own forms of activisms. SAMPLE CHAPTER: The first chapter is available as an excerpt on my website here: http://www.celinekeating.com/layla/excerpt-from-layla. WHERE TO BUY IT: Powells, Amazon, Barnes & Noble, etc. It is also in ebook and audiobook formats, available online. CONTACT THE AUTHOR: I think it’s very important to open the door to writer/reader interaction. You could post your e-mail address, Facebook page, or Twitter handle, or all of the above.